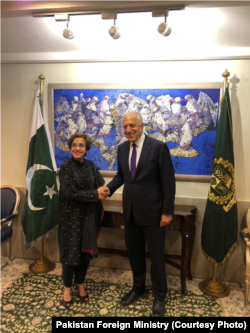 The newly appointed American special representative for Afghan peace and reconciliation, Zalmay Khalilzad, met Tuesday with top officials in Pakistan to seek the neighboring countryâ€™s help in bringing the Taliban to the table for talks with the Kabul government. The increasingly deadly Afghan war marked its 17th anniversary last Sunday. Security, defense and diplomatic officials made up both teams, said Foreign Ministry spokesman Mohammad Faisal. He added that the U.S. delegation later called on Foreign Minister Shah Mehmood Qureshi. 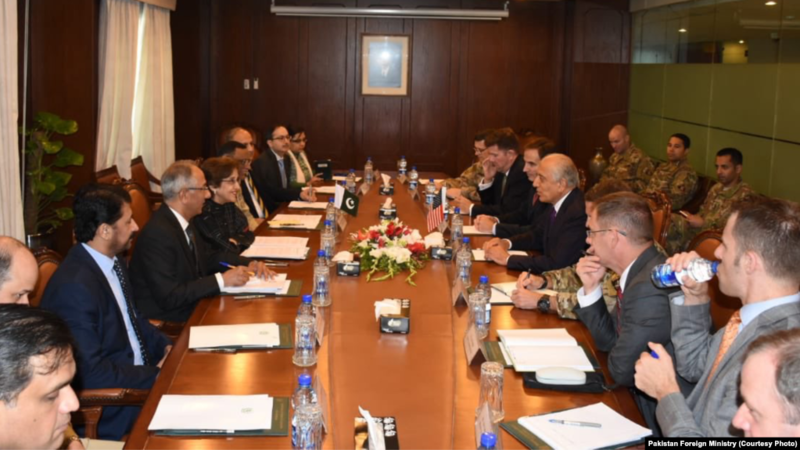 The â€œforeign minister reiterated Pakistanâ€™s efforts for achieving peace in Afghanistan,â€ Faisal said. â€œHe called on the parties to facilitate dialogue by forming inclusive negotiating teams,â€ according to a statement issued by the U.S. Embassy in Kabul Tuesday. â€œWe, in cooperation with the Afghan people and government, want to make a peaceful Afghanistan where all Afghans see themselves included. All citizens of Afghanistan must be a part of the reconciliation process,â€ it added. Khalilzadâ€™s appointment has raised hackles in Pakistan because of his unfriendly statements in the past in his individual capacity, including calls for declaring the country a terrorist state for allegedly harboring Taliban and other insurgent leaders. 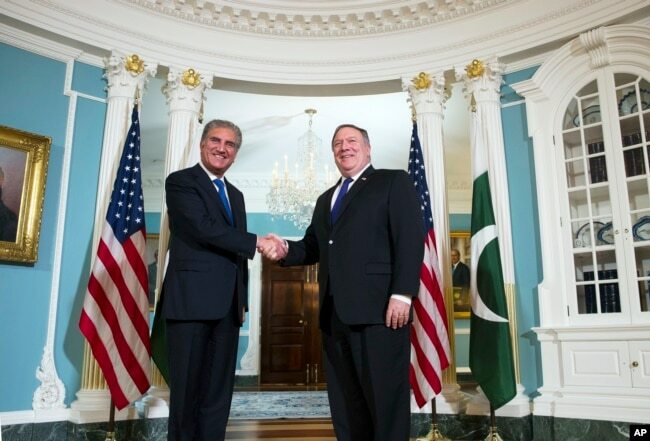 Last week Foreign Minister Qureshi, during his official visit to Washington, also acknowledged there was widespread criticism in Pakistani media of Khalilzadaâ€™s appointment. In a rare and surprising move for critics, Qureshi advised the U.S. diplomat to conduct himself differently in his role. â€œI would urge him to be more sensitive to the opinion in Pakistan. Obviously as individuals we can say what we want to, but once you have an official position, then you have to be more restrained and you have to be more sensitive, because then only can you be an honest broker,â€ said the Pakistani foreign minister. Pakistani officials deny the Taliban is operating out of their country and point to the vast â€œungovernedâ€ Afghan territory being used as a sanctuary by both the insurgents and terrorists linked to Islamic State. Islamabad says its intelligence agencies have traced most of the recent terrorist attacks to sanctuaries on the Afghan side of the largely porous border between the two countries.